The raw imaging data for all studies published in the Image Data Resource (IDR) is available for download using the Aspera protocol. 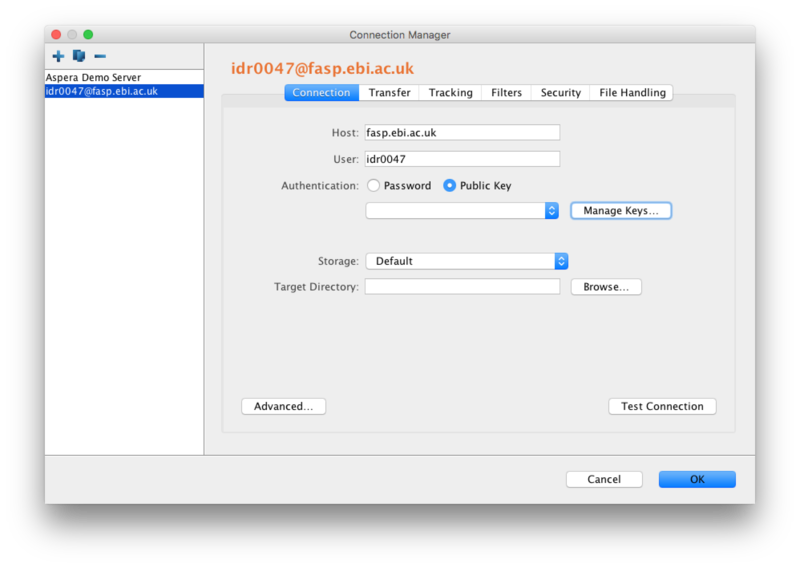 Each published study has an associated passwordless username matching the IDR accession number e.g. idr0001. Download and install the Aspera desktop client. 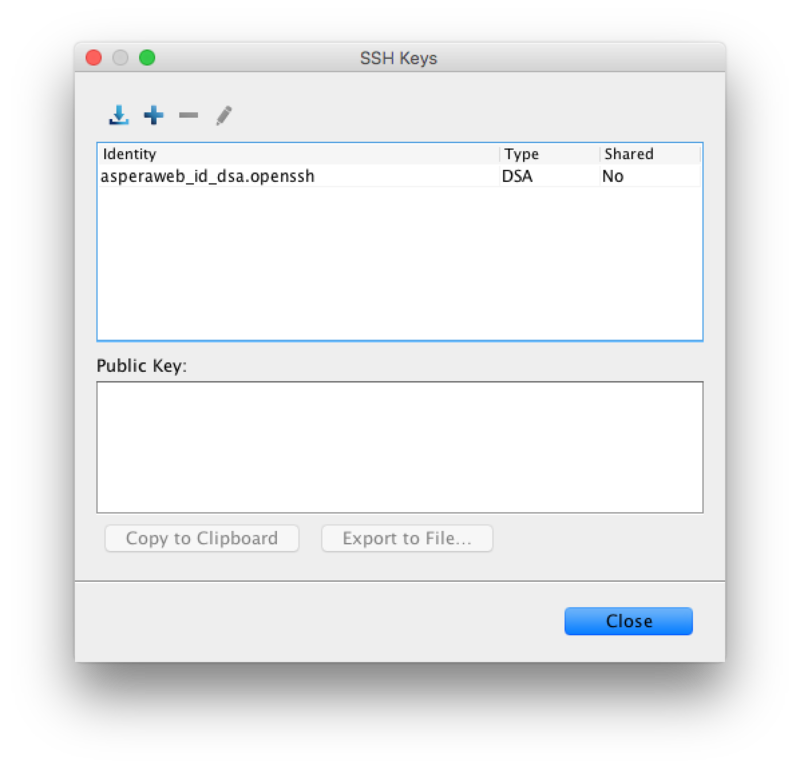 You must also download and configure the Aspera public key asperaweb_id_dsa.openssh to connect to the server. You should now be able to connect to the Aspera server and see the raw data for your chosen IDR study. Refer to the Aspera documentation for more details about the command-line options. The two examples above will download the entire content of a submission. The size of each study varies from a few GB to several tens of TB. Sometimes it is desirable to download only a subset of the submission e.g. only one plate from a screen. idr0040-experimentA-filePaths.tsv contains the paths of all the datasets in experimentA for the idr0040 study. © 2016-2019 University of Dundee & Open Microscopy Environment. Creative Commons Attribution 4.0 International License. version: devel. Last updated: 2019-04-11.